As per Credit Deflation thread,setting up a thread for those who higher risk methods of trading. My thesis is that there are some potentially phenomenally peaky looking shares out there. Discussion of ideas for anyone with a view. I'll post some charts but feel free to add some ideas/views whether you see vulnerability or strength. Declaration of interest-Short IAG,Easyjet,Barratts,Taylor Wimpey. More for the 'what bubble' series. Love this SP. Compare with gold miners? I know what I'm buying. @sancho panza where are you getting your charts from? edit: if you don’t mind. What’s the rationale behind your current shorts? You're too kind.Although as a one man band I'm stretched these days in terms of research and reading.The family member I work closely with is more of a sounding board than doing any research themselves. I think both of these companies will suffer over the next few years for structural reasons but timing it is beyond me.Berekely had a good drop post results but had rocketed before previous ones.You never can be sure whne the guillotine will fall. At the moment,I'm focused on the UK builders.My thesis is simple in that they broke first,well before Northern Crock went asunder in 07. Although I am watching others. I make my own charts up and use certain indicators in conjunction with some fundamental analysis.Technical analysis has a role but on it's own is useless.I'm sizing shorts because I believe the US top is in and certain shares I'm interested in have topped out.I do prefer to see the turn well behind me because calling tops ahead of time is a fools game.You could even argue calling tops after they're behind you is a fools game but at some point you have to press play. I've not been a massive shorter in the past preferring to hedge with deep out of the money put options but some of these charts are too tempting.In for a penny etc. Gotta love passive index tracker investing. Maybe the first chart that goes back on itself, breaking the price-time equalibrium. It's a new age stock after all! No sane person would buy that but they do, every day, in their pensions, etf trackers, and funds. All while laughing at bitcoin. Sancho looking like a good day for your shorts. My only concern with shorting housing stock is that the government has a long track record of meddling irrationally in this area. Rather than adequately funding local planning departments and helping to fund infrastructure they instead embarked on HTB! While the ability to fund such nonsense is likely to be severely limited moving forward, all parties seem hell bent of modelling the market to their own political ideology. The Tories are obsessed with creating homeowners, while Labour want to create social housing to secure future votes. Ok. I’m going to throw a couple of names into the ring. Feel free to give your twopeneth worth. I’m not short but thinking maybe. Clearly don’t trade on the below ramblings. If you do, it’s your own fault if you get smashed. Britvic. It’s a very good company. However, I think the sugar tax and the fact they have a huge presence in the pub trade, which I think will struggle going forward makes them weak. I’m hoping for a couple profit warnings so that the share price drops below £5 at which point I’d be a buyer. Coca~Cola Hellenic Bottling Company. Share price is high. It’s a play on emerging markets. Shares in my opinion are expensive based on the way a lot of EM currencies have been smashed so far this year. Again, I’d be a buyer if they halved. 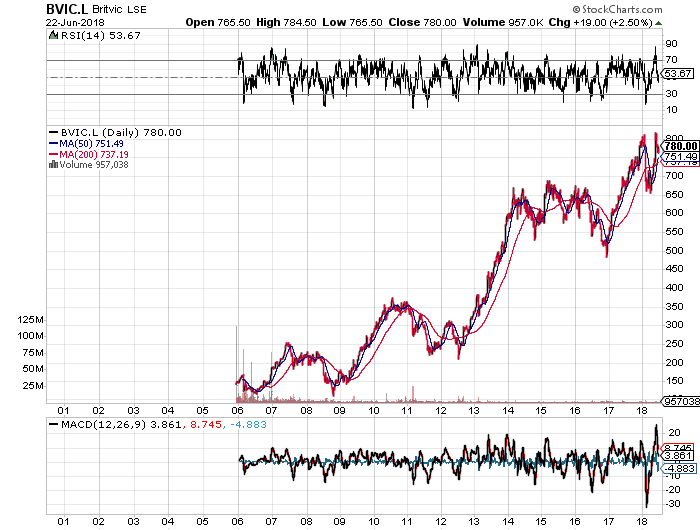 It’s a very good company, just overvalued in my opinion. Quite No Duff.....it's incredible,People think passive index tracking is asafe way to invest.As I've said elsewhere ,these huge behemoths have never had to sell into a market shake out from a position where they're such a huge part of the market. I'm not saying it's going to go wrong but why take the risk? The building shares were priced for perfection and still are in many respects.My shorts on these are two year projects that may or may not work.You have to pick your time and your time is dictated by the momentum-is it going up or is it going down.Govt policy on housing is irrelevant to most of these firms as elevated as they are. 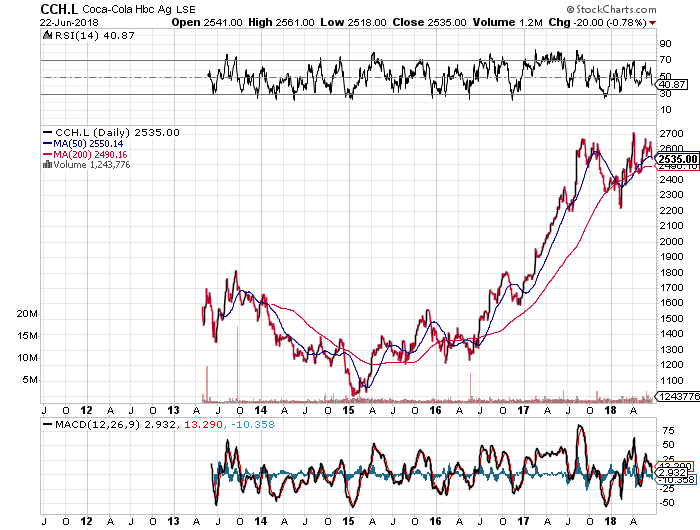 Coca~Cola HBC was listed on the Athens stock exchange, before they shifted to the LSE, so there should be data going back years. 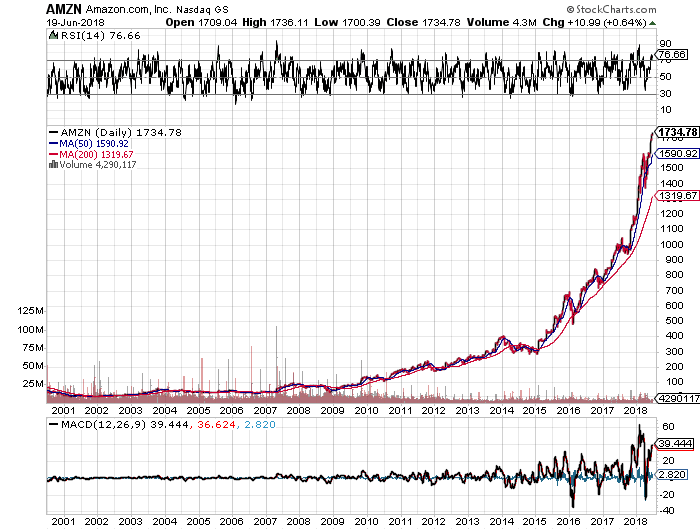 I agree re: Amazon.TESLA as well looks like a dead-cert due to their short-term debt obligations. Starbucks has surely topped out now that even your local greasy spoon can produce a decent quality latte for half the price, and it's a discretionary spending item? This is exactly the sort of anomaly that you need to find.Then it's a case of seeing how much' hope and momentum' is in the price versus the financial reality of others in the industry.I see Tesla as very much a hope and momentum play that's done incredibly well for a lot of people. What method do you guys use for shorting? I use IG and traded options occasionally.